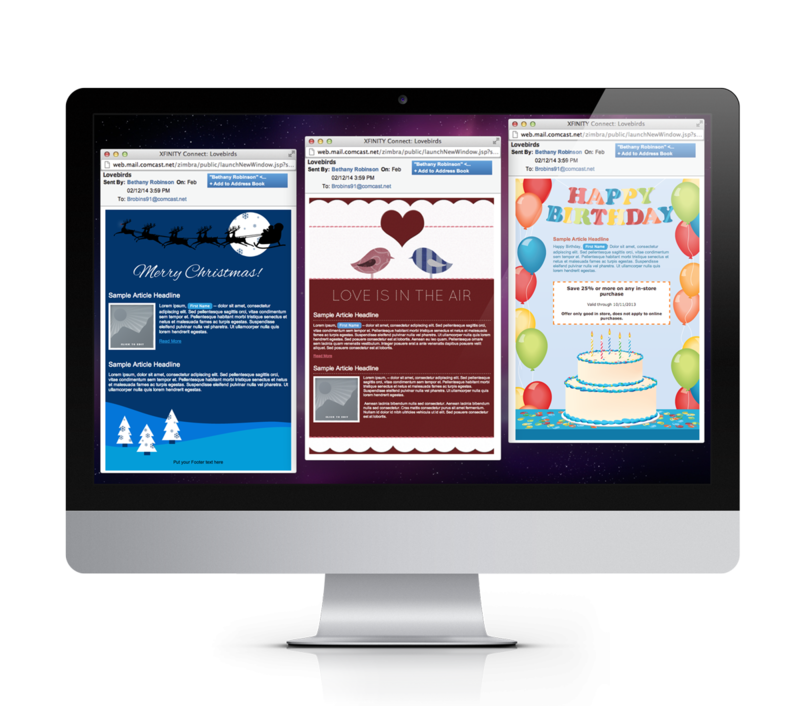 During my time at AWeber Communications I designed and coded 43 original email templates for use with AWeber’s email marketing software. Designs were heavily constrained by cross-client support and usability requirements. After designing and coding, emails were tested with Litmus’ email preview service and debugged by hand before being added to the template database. Further debugging was completed alongside the Customer Service Template Team.